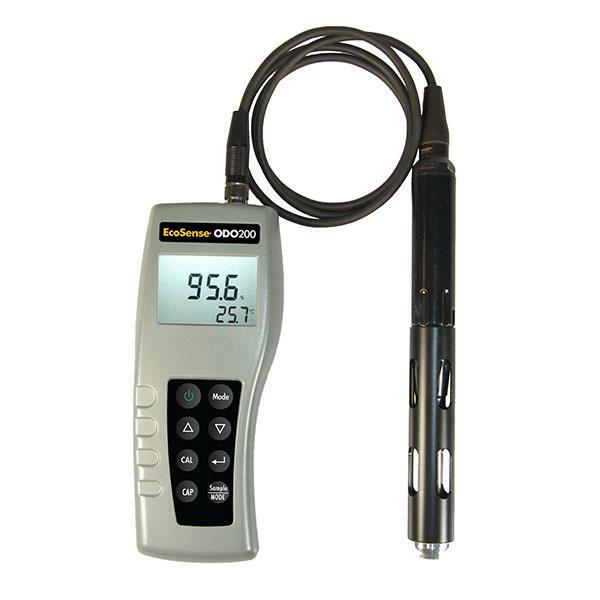 EcoSense ODO200 is an optical-based dissolved oxygen meter ideal for DO sampling. The ODO200 Kit includes the Ecosense ODO200 meter, field cable, probe and carrying case. Accurate, economical, handheld dissolved oxygen measurements using optical technology. The EcoSense® line of compact, handheld instruments provides the most accurate data in the most affordable format. The instruments feature an easy-to-use interface, one-hand operation, IP67 waterproof case, and low cost of ownership over the life of the product. The ODO200 is designed for quick, accurate results in an economical platform. The ability to measure DO optically along with temperature, in a simple, compact handheld allows the instrument to be used across multiple application sampling strategies in the field. With a one-year instrument, probe and sensor cap warranty, waterproof case and ease-of-use, the EcoSense ODO200 will fit your needs.